Cancers that begin in the breast, prostate, lung, thyroid and kidney can spread to the vertebrae and weaken them while causing pain to the patient. Gamma radiation therapy to kill the tumor is toxic to bone, spinal cells and nerves, leading to paralysis. Because of this, doctors often delay radiation treatment in patients with metastatic cancer as long as possible, leaving patients in pain as tumors progress. Standard external beam radiation (EBRT) is often given in a series 10- 20 treatments over time. Other targeted treatments such as intensity modulated radiation therapy (IMRT) and stereotactic body radiation therapy (SBRT) can still damage the spinal cord. Radiation treatment is expensive, inconvenient, and aside from causing collateral tissue damage, can cause transient side effects. To ameliorate pain as the tumor progresses, patients can be treated by vertebroplasty, an outpatient procedure in which FDA-approved bone cement is injected into the spine to stabilize damaged bone. 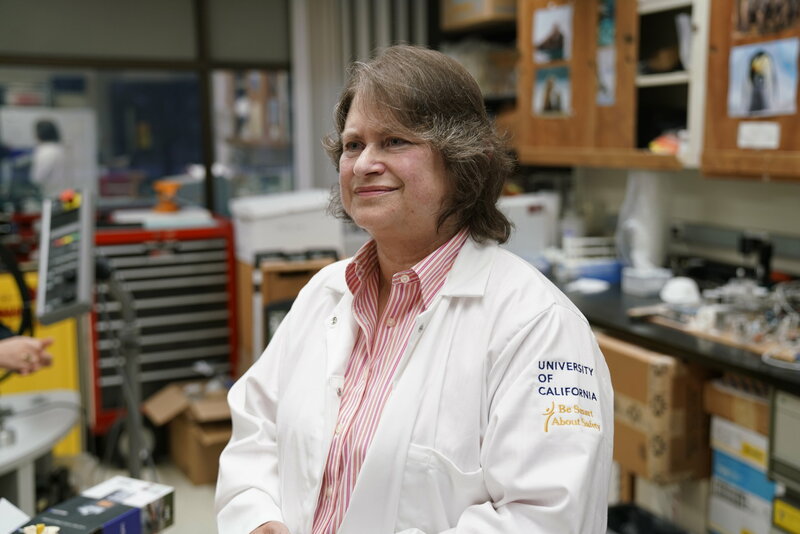 Joyce H. Keyak, PhD, professor of radiology at the UCI School of Medicine, developed a novel method for treating metastatic tumors in the spine that reduces risk of spinal column and nerve damage. This treatment combines standard vertebroplasty with brachytherapy, a localized cancer treatment in which radioactive seeds are implanted in tissue to give a short, limited dose of radiation in a single procedure. “We would be alleviating the pain, strengthening the vertebrae, and at the same time delivering radiation to the tumor.” said Prof. Keyak. 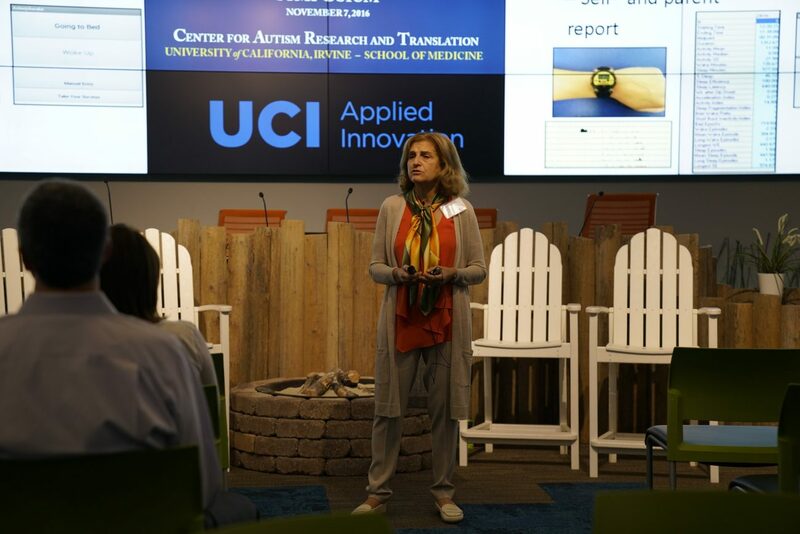 Co-inventors include Tadashi Kaneko, PhD, a graduate of the UCI Department of Biomedical Engineering, and UCI Orthopaedic Surgery Professor Emeritus Dr. Harry B. Skinner. Earlier in her career, Prof. Keyak had researched the effects of microgravity on the bones of astronauts. In this instance, she was inspired by personal experience; a cousin who had breast cancer and developed tumors in her spine. Prof. Keyak had been exploring tumor treatments in the spine through brachytherapy after receiving a Department of Defense (DoD) Breast Cancer Research Program grant. She originally had another DoD grant to fill the hip (a proximal femur) with bone cement (another cancer metastasis hotspot), but remembered learning there was risk of paralysis if radiation treatment injured the spinal cord. Her collaborator, Dr. Harry B. Skinner, chair of orthopedic surgery at UCI, suggested treating the tumor in addition to filling the bone. 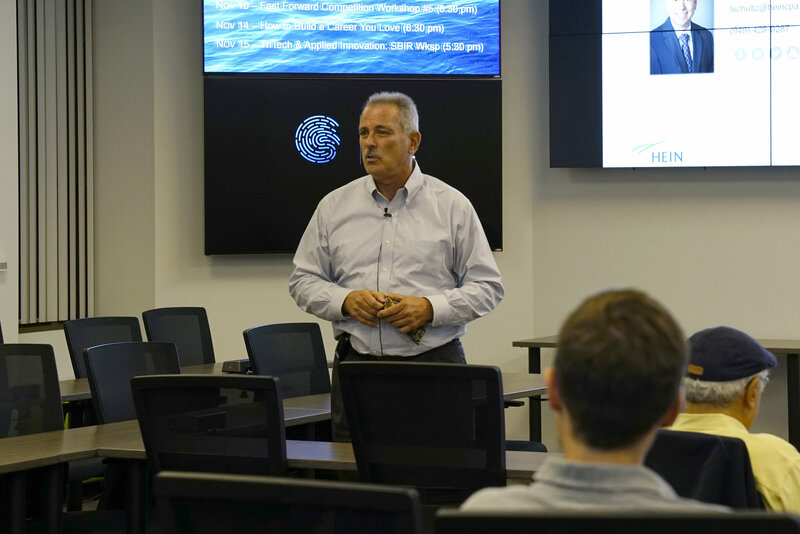 Prof. Keyak and colleagues’ concept, BoneRad Therapeutics, Inc. took first place in the Merage School 2007 business plan competition which included a $15,000 prize. Using $760,000 in DoD funding, Prof. Keyak infused a FDA-approved polymethyl methacrylate (PMMA) bone cement with a radioisotope. The patented compound, SpineRad™ delivers a controlled therapeutic radiation dose while strengthening the bone. Prof. Keyak and her colleagues also developed a tool to apply the cement. According to Prof. Keyak, a single injection of the radioactive bone cement can provide an equivalent, targeted tumor treatment with significantly less threat to the spinal cord and nerves than radiation. Radioactive elements are dispersed evenly in the cement. Surgeons don’t need to measure the total amount of radioactivity, as the dose delivered to the tumor is independent of the volume of cement and the amount of radioactivity injected. This property makes brachytherapy with Spine-Rad Cement simpler for surgeons to plan and administer. The cement just needs to be applied next to the area to be treated. The extent of the radiation depends on how far it is located from the tissue to be treated, and the type of radioisotope(s) used. There are no brachytherapy treatments for bone metastases on the market. Because the cement can be infused with different isotopes and made with different molecular weights, this technique can now be applied to tumors in soft tissues in other parts of the body. Bone-Rad is currently looking for corporate partners among medical device manufacturers. Several companies have shown interest. Now, Prof. Keyak is applying for further funding, preparing for animal trials to get FDA approval to test it in humans. She is continuing to develop tools and radiation shielding for cement delivery.